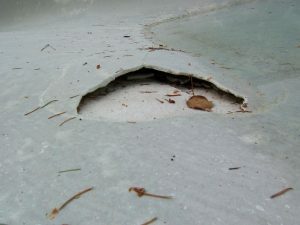 As the name suggests, pool plaster delamination is a situation where the new coat of plaster has separated from the old layer beneath. Small pop-off areas the size of a quarter may not be indicative of large scale bond failure. Spray a hose on an empty plastered pool, and you may “hear” areas of delamination in the pool, which produce a hollow sound. However, de-laminations can go unnoticed for years, unless they crack and begin to flake off. When you are planning to have your pool plastered, chances are you’ll have no problems. Our plastering crews here at Advanced Pool & Spa, Inc. are highly skilled applicators – and they have to be – pool plastering is as much an art as it is a science. Prep, Timing and Touch are all very important for a proper pool plastering job. Pool plaster is a difficult medium to work with, with hundreds of variables affecting the outcome. It’s one of the few pool repairs which should NOT be a DIY project. Contract with Advanced Pool & Spa, Inc. and you will be pleased with the end result. Be careful with the start-up procedure and follow pool aftercare to the letter – fill the pool rapidly without stopping, balance the chemistry, brush twice a day, and backwash as needed – and you should never need refer to this blog post. But, if you do find yourself in a disagreement about the condition or appearance of a new plaster coat – I hope that you find this little article helpful.